My name is J. i have recently became a domestic abuser. please don’t automatically judge me. i think the fact that im actually texting on this site shows that im a good person. i just make bad choices because of my anger issues. anyway, i hit my girlfriend once on two different occasions. although both times i was hit first, i still didnt have a right to hit her. i just reacted after i was hit. i need advice. i know i need counselling. i really love this girl & i dont know what to do. i know we might not get back together & im prepared for that. i just need my best friend back. i would kill myself right now if i knew it would get her to forgive me. thats all i want. please give me some advice. i dont know what to do & i dont have anyone to help me. thats why i went searching for this site. please treat me serious & answer me as soon as possible. im really lost right now & i just cant stop crying. o & please dont take my message as if im going 2 commit suicide. I responded with what I could, telling him that he must deal with his anger and offered some resources. Most that I have spoken with that have anger issues lived in some type of abuse as a child, went through something that causes this anger. Please share what you will in support of this young man, as I said, violence must stop with the abuser, how else? If you have managed to calm your anger and want to offer first hand advice to the young men and women out there please do so now. Do you run a site that supports those dealing with anger issues? What books can you recommend? We all have a role in stopping violence. Let’s start with this young man. My true sentence will come a little latter. Have you ever randomly read or seen something that is just what you needed to see or read at that moment yet you didn’t know it yet? Have you ever read something that compelled you to take immediate actions you were so enlightened ? Well I just did. I was taking some down time tonight, I was in bed with my favorite pillows and decided to watch some Ted.com. This is an amazing site that offers informative ideas and talks. Like normal I began to randomly view the videos listed from top to bottom on my tablet. The first one was about how the world is over mediated and over diagnosed, I agree with that one but that is another discussion. It was the second talk that inspired me to get out of my comfy bed, right in the middle of a Rays game and post, almost as if I had no choice in the matter. Trust me, once in bed it takes a fire to get me out of it so I knew this was important to write while the topic was fresh in my mind. The speech/discussion was by a lawyer named David Dow, he spoke about learning about life from a death row inmate. It blew me out the water and bed! I agreed with what was said and had thought of this many years before of the lives many must have had prior to getting to where they were now, on death row. What was said makes sense and really hits home, for every death row inmate there was once a young child, either lived in abuse, witnessed it, was abandoned or lived on streets. I was blown away when I heard that 80% of death row inmates had been in the juvenile system, I believe the numbers were for Texas but don’t quote me. The children, mostly boys, still had a chance to be helped, before they turned to murder and forever sealed their fate and that of someone else. Once the murder was committed, it then became too late to help, after all, a murder was committed, an innocent life taken. Now, it is to late to turn back, but not too late for us to change it for the other children destined to have their last bed be on death row. I encourage all of you that play that old record in your mind, “I stay with the abuser so the kids have a mother, father.” You are not doing them any favors. The boy that is discussed in this speech didn’t know his father and lived with his mother who tried to kill him with a butcher knife when he was just 5 years old. What brought me to tears and made me take action was the following truest statement I have ever heard when hearing about abuse as an adult remembering abuse when he was 5. The night before the young man was about to be executed his lawyer asked him, “do you really remember your mom trying to kill you when you were 5 or do you just remember others saying that she did?” The young man said, “no disrespect, but when you are five years old and your mother is chasing you around the house with a butcher knife that is bigger than you are, when you have to hide and lock yourself away in the bathroom until the police come, you don’t forget what happened, ever.” That is not word for word but you get the idea. My true sentence, if you remain living with a violent person, your child has a greater chance they too will be violent, struggle with violence or in many cases, try to take their life, or they may become passive and will be abused by their girlfriend or husband, boyfriend or others in their life. This is from my own experience as a child and then from watching as my son struggled with how to handle remembering his father trying to kill me in front of him with that switch blade to mommy’s throat as his father told him, he was around 3-4 year old, to say goodbye to mommy. My son smiled and said goodbye mommy. Neither one of us will ever forget that, but I know the memory is so different for my now 22 year old son. It is a burnt in memory he can’t erase. I encourage you to watch the video, then decide, is it really worth ruining the rest of your child’s life to stay where you are staying? I can’t take care of telling you all the details of how to leave here, what to do, my heart right now is with the child that will never be the same. I hope this made sense, it just rolled off my fingers tonight as it came into my head. Please pass on this video, I greatly feel this is a step in the right direction to help stop the cycle of violence. The story isn’t just heartbreaking but the speaker actually gives hope that we can stop violence and children ending up on death row. Comment with your experience and thoughts after viewing this video. When something really moves a person and they share it with others, one by one, the world changes. How do we explain to a little boy that his life fell through the cracks? “There was just so much hatred and anger, that’s what ultimately led to this,” said Nunn-Scott according to an article written by Jack Nicas in the St. Petersburg Times on February 2, 2011. Ronderique Anderson, 16 months old, is struggling for his life with a fractured skull and bleeding brain and to make matters worse, DCFS, the agency that was supposed to protect this child, appeared on the evening news and said, “He fell through the cracks,” and “Maybe this wasn’t the best decision,” in regards to placing the boy with his father.” Really? This little boy did not fall through the cracks; he was shoved through a large gaping hole. How do we explain to a child, one that will never wake up again, sorry, we just forgot about you, we were too busy or we are short staffed? Is this all that can be said when a defenseless little boy is handed over by DCFS to a father that they were well aware of had a criminal record? Does it really matter at this point? Be honest, say we Fuc*** up! Sadly, there is no shock when we hear that this once vibrant little boy now lays brain dead after his father taught him what would happen if he played near an electrical outlet. I can remember trying to touch an outlet when I was young, I was scolded by my mother and told that electricity would shoot through the plug and hurt me. Tragically, for Ronderique, his father beat him close to death, not only will he never play near an electrical outlet, but he will never play again. What a lesson, not for this little boy, but for us as a society, the ones that were supposed to protect him. We can sit and blame the agency that was supposed to protect this little boy, we can blame the father that did this to him, yes, we can blame him for sure, but in the end, our society as a whole that raised a man that would ever consider that beating his son was the appropriate action to take, we must take some of the blame as well. What was instilled in this man to think that this was acceptable? As a society, in regards to the wellness and safety of our children, especially for Ronderique Anderson, we are the ones that have fallen through the cracks. I received the following post in another location and as always felt it would be best to start a new posting to support this woman. I´ve read almost everything on the website. On those who´ve left and those who are still chained. I´m chained and embarrassed by it. I´ll say what it is, after 12 years of marriage, I cheated on him. I don´t want to use the abuse as an excuse. I found a time of peace. I should have looked for God or therapy. I didn´t. That has made the abuse escalate to degrees I never imagined could. All verbal. He said I was a bad person and he would ´take me to hell and back so I could be reborn into a better person´. Sounds impossible but he did. He broke me down to nothing and redefined me as worthless. I am ultimately feeling worthless because of me. I know that. But he reminds me so often. A lot of you know the phrases, ´I wish you were dead, you should leave this house, I was with the other woman because you made me angry, I don´t know if I want to be with you.. you are so #$%&@ and on and on.´ Sleepless nights of endless sermons and violent whispers like sitting in a waiting room wondering when the next arrow is going to carve through your soul. I´ve finally decided after 4 years of escalated abuse to call home. To call mom. I’ve lived in Mexico since I got married leaving my family behind in the US. Don´t have friends, he sabotaged the two times I´ve tried going to therapy and well, I´m chained and ashamed of it. I´m not afraid to be a single mom… I´m afraid, I think of living without his approval. I know what you´re all thinking but… I haven´t seen the light. I apologize to all you strong women who´ve gotten out because this here is a weak link. Perhaps one day staying will be that much worse. I´ll wait. Such a beautiful name you have, since you posted your name I have left it here. I was so happy to see that you reached out for support. First rule on this blog, judgment free zone. 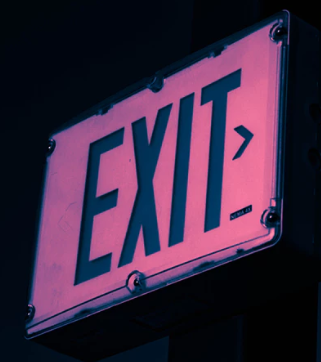 We understand all the reasons why others decide to stay because we have all made those same decisions at one time or another, so let that worry go. We are here to support you at no matter what stage of abuse you are at. We would all prefer to be cheering you on as you are off on your own living the life you want, but you will get there. I know you want more, I can here it. Your story is heartbreaking, yes I know you cheated and the guilt must be horrible, but you will live with that, this is no way makes you deserve the abuse. What would you tell a dear friend to do? You would tell her she deserves more and to get out now. Don’t let him sabatage you another day, you don’t deserve it. I would and did prefer to be a single mom than to live and die more another day in front of my son. I understand that you are embarrased, I was there too, the hardest person to forgive with all that happened was me, the lady in the mirror. Finally, one day you will look in that mirror and see that you are here for more than this. Remember, most times verbal abuse leads to physical. We teach others how to treat us, if you continue to stay, he will take that as his ability to treat you even worse, although verbal abuse stays with you longer than physical abuse for it is harder to forget. You said something that saddened me to the end of my soul, perhaps one day staying will be that much worse, I’ll wait. What is it that you are waiting for? Your children to bury you. To be physically hurt? I urge you to sit and write, it would do you well. Even though no one will ever read it, even if you chose to write here where it will support others, can help to clear the fog in your head. I often said I was so close to things that it was hard to see a way out. I am here for you as well as the other readers. I have set up a stand alone post string for you. It is easier for you directly to get the support you need. Your post can get lost in the location it is now and I don’t want to see that happen. I want you to know that you are never alone, we have walked in your shoes and want to help you walk those shoes out the door into a better life. Keep in touch, you are worth more than this, your children too. Readers, help me to support this woman dealing with so much pain. This blog is for this reason, lets show what this amazing group of ladies can do to support one another, or what is the point of all that we went through. I recently received an email from a very strong woman, hear her story, then decide that you too can get out if a woman with 9 kids could. I want to thank this woman for sharing this with me. I know by her story that she still lives in fear of this man.